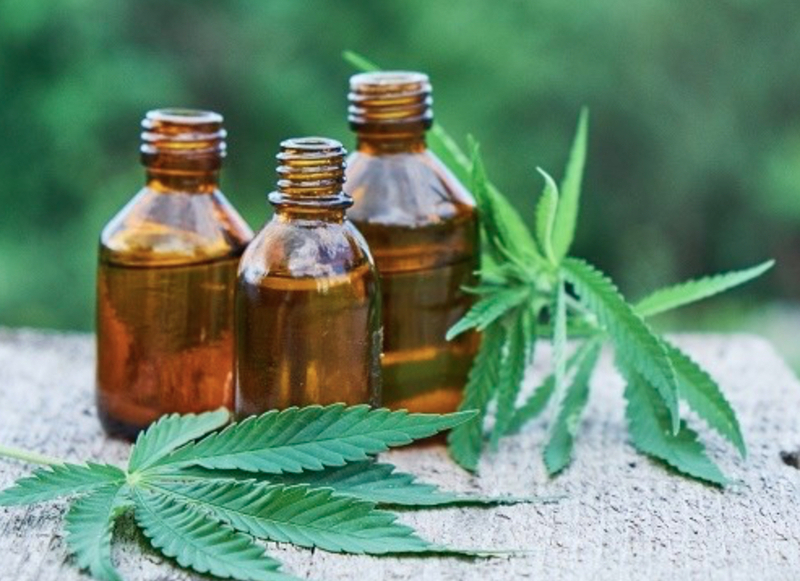 Although hemp lotions have been available for a long time, there is considerable hype recently about the legality of cannabis, so the beauty industry has embraced 'cannabis lotion instead. As a healthy body product, the lotion is actually being viewed very differently now as many countries decide to change their legislative view on medicinal marijuana and together with this, recreational marijuana. Hemp, otherwise known as cannabis, has been cultivated since Ancient China through many generations and is still used today for a wide variety of reasons. It is in the more recent years though, that the oil extracted has become increasingly popular in cosmetics. As Cannabidiol, or commonly referred to as CBD, which has no psychotropic effects. 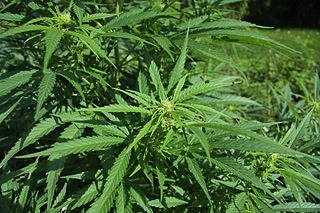 Although cannabis as a drug and industrial hemp both derive from the species Cannabis sativa and contain the psychoactive component tetrahydrocannabinol (THC), they are distinct strains with unique phytochemical compositions and uses. It is only really due to misuse as a mind-altering narcotic over the past few generations, that hemp has developed such a negative connotation. The lotion will probably still fight for positive recognition for many years to come, as the narcotics label will surely be hugely difficult to overcome. However, hemp used in a lotion, has reported so many wonderful softer, healthier skin results as well as remedying dry skin conditions such as eczema or psoriasis. The term 'Hemp' actually refers to the soft fibre of the stem of the cannabis, or marijuana plant. The longer the stems the better and in some cases they can be 6 feet tall. 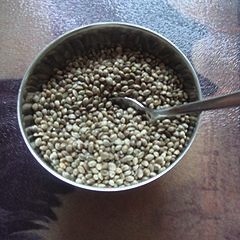 However, oil extracted from the hemp seeds is the main ingredient used in lotions. Mostly cold pressed from varieties of the Cannabis sativa seeds, it is also more commonly referred to as marijuana seed oil. Although known popularly as a narcotic, the seeds of the plant do not actually contain any tetrahydrocannabinol (THC), which is the psychoactive compound. THC is only found in any significant amounts in the flowers or leaves of a mature female plant. Thus the oil will contain minuscule amounts, if any, of tetrahydrocannabinol (THC). As an example, regular accredited sampling of THC in Canadian hemp seed oil shows THC levels usually below a detection limit of 4ppm (parts per million, or 4mg/kg). Hemp has lower concentrations of THC and higher concentrations of cannabidiol (CBD), which decreases or eliminates its psychoactive effects. The legality of industrial hemp varies widely between countries. Some governments regulate the concentration of THC and permit only hemp that is bred with an especially low THC content. 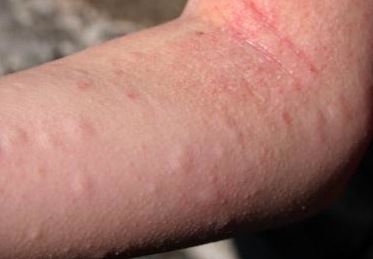 Repeated use can assist in healing dry skin conditions, including eczema. Reduction of inflammation is done through the omega 3 & 6, both of which it contains in unusually high amounts. The gamma-linolenic acid (GLA) oils, also known as Essential Fatty Acids (EFA), help prevent moisture loss in the skin and may play a regenerative role in the skin ageing process. The hempseed oil contains 57% Linoleic and 19% linolenic acid, which has been noted to be the exact ratio that a human body requires - a one to three ratio. These oils are called essential fatty acids because we humans cannot manufacture them ourselves and they must be gained from an outside source. Cannabis skin and body care products are to be found readily in a wide variety of retailers, including health food outlets, as well as online. This includes hemp tanning lotions, lip balms, facial moisturisers and hemp aloe vera gels. Advertising of the main benefits will usually include the hydrating effect through the ability to protect the skin from moisture loss. Going hand-in-hand with this, it also helps reduce aging effects, such as fine lines and wrinkles. Safe and non-toxic for external use, it is also advocated for internal digestion. However, hemp seeds themselves are not that available in most countries unless they have been sterilised to prevent germination! As hemp skin care products contain extremely low amounts of tetrahydrocannabinol (THC), if anything at all, they are unlikely to have any effect on any drug tests. However, if you plan to have a drug test soon, or regularly have one, I would suggest not using a hemp lotion too liberally on a daily basis. After all, our skin being our largest organ where topical applications are totally absorbed, any THC present at all will end up in your bloodstream. Hemp seems to be quite a popular ingredient when it comes to indoor tanning lotions. The smell seems to attract many favourable comments as well as the effectiveness - often reporting soft golden colours after only 20 minutes or so. The other key aspect is of course the softness of skin after a tanning session - all those essential fatty acids doing their thing! Because the hydration is relatively good, it seems the tan lasts that much longer too. "One of the things I like the most about hemp based tanning lotions, is that the hemp oil is wonderfully naturally derived and I always choose to wear a lotion where I know that the major ingredients are natural. Although tanning my skin often dries it out, it always seems to look and feel much healthier after wearing a quality hemp oil based lotion."